These are made to order! Please know that it could be 1-2 Weeks before they ship ! Please annotate colors for Body and Flare piece in the comments section of your order! This is it. The biggest, baddest ram air intake snorkel you can get for the Focus ST. 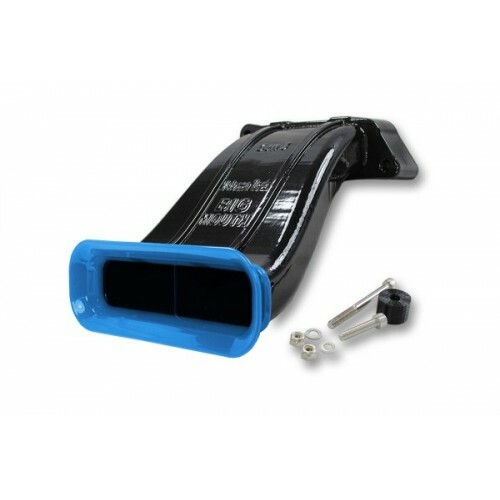 This bad boy was developed for better low speed airflow, and better overall mass air flow for tuned cars or big turbo setups, you also have ability to customize the color of the inlet flare and body. This is truly a unique piece! Velossa Tech Design is a world leader in 3D-printed aftermarket automotive parts. With the ability to color customize all of our products, we are pioneering color-customizable parts made in the USA with over 28 colors to choose from (the combinations are endless). All of our products go through rigorous engineering design, 3D print optimization and post-processing for strength and longevity as well as aesthetics. All supplied hardware is stainless steel for corrosion resistance and longevity. Our expertise in 3D printed automotive components is second to none – we like to push the envelope as we develop our own in-house strategies for 3D print production.